We greet you in the wonderful name of our Lord Jesus Christ! We are so thankful that God sent His Son to the earth to save us and every year we have the privilege to celebrate His birth. We are also thankful to be called to serve the Lord through this Internet ministry. We have so many pleasant memories of past Christmas gatherings with our family and friends, as we know you must also have. We long for the more simple days when Christmas was truly a Christian celebration of the Christmas story recorded in the book of Luke in the Bible and not the commercialization and partying that we find today. I believe others are looking for an old fashioned Christmas as well. Here are some of my personal memories of those times. Perhaps this will help you as you plan your Christmas celebrations. Perhaps you are alrea dy doing these things as well. As a child, our Christmas traditions started with our church celebrations. The weekend before Christmas day, the youth who had been practicing Christmas hymns would meet to go caroling in the neighborhood on Saturday evening. Earlier in the day, members of the church came together to host a free Christmas meal to all the poor in our neighborhood. There was also a time of ministering and praying for all who had needs. The church had taken a special Christmas offering to help the poor and we found great joy in reaching out to the needy. The next day we attended church services which revolved around the pastor reading from the Bible about the birth of Jesus. Then we sang all the wonderful Christmas hymns such as Silent Night, Away in a Manager, We Three Kings, and many more that told the story in song of our Savior’s birth. After breaking for lunch, we returned for the evening service which was a live enactment of the nativity scene with all the children dressed like the Bible characters. I felt really special as a child to play the role of Mary. I never remember sitting in Santa Claus’s lap asking for a gift. After I was saved at 12 years of age, Santa was never included at Christmas. The Christmas church services were the prelude to Christmas Day which was then spent with family and church friends in our homes around a wonderful home cooked meal, made from scratch, which consisted of the traditional turkey and dressing meal with all the trimmings. We then gathered around our grandfather and grandmother’s Christmas tree to open the modest gifts we had for one another, which many of them were homemade. It was a wonderful, peaceful and joyous day as we talked and visited with one another. Those old fashioned Christmas seasons still live in our hearts today. Bud and my prayers for God’s people are that we will not get caught up in the worldly Christmas parties, the endless hours of football games, frenzied shopping and extreme decorating projects to the point that we are exhausted. God wants us to enjoy our friends and families and take time to focus on the reason for the season which is Jesus. Christmas should revolve around Jesus, family and friends. We have noticed that every year the devil attempts to distract people from the celebration of the birth of Jesus. Shopping for cards this year, it was hard to find a suitable greeting as most of the cards depicted snowmen, Santa, decorated trees, Christmas lights, etc. In one store there were over 30 boxes of cards and only 2 of them had anything about Jesus. Also, the greetings were “Happy Holidays” or “Season’s Greetings” with only one that had “Merry Christmas” on the face of the card. As Christians we need to offset this by wishing people a “Merry Christmas” and share about Jesus as the Lord leads. 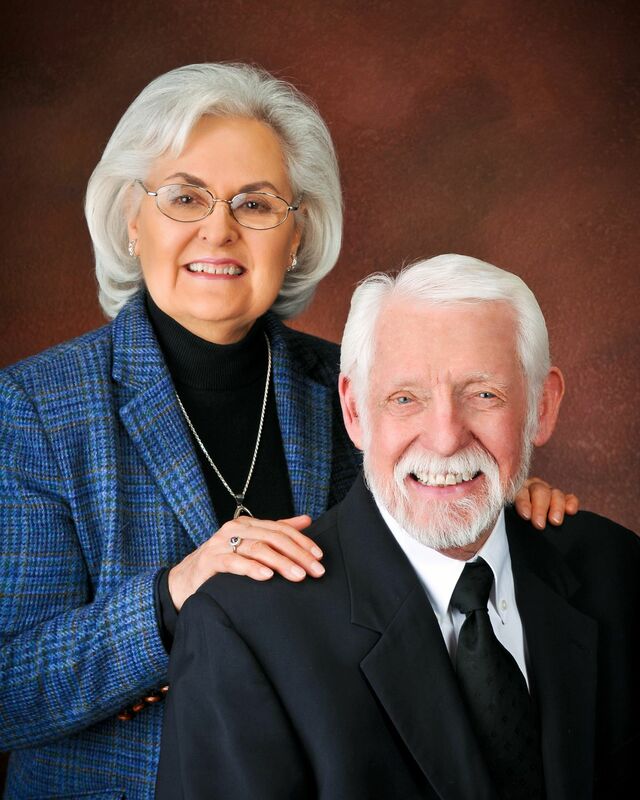 Please come to our new website at www.BibleResources.org to hear a special video message from us. We also will have a free mobile devotional app that you can download from the site ready by the first of the year. It will also be listed in the Apple Mobile App store. This is our special gift to you. It is a 365 daily devotional that is currently posted on the website that is based on the book of Proverbs and is entitled “God’s Wisdom for Daily Living.” We all desperately need God’s wisdom in a world that is spinnin g out of control. The devotional is a five minute read. We have many testimonies of how this devotional has changed people’s lives and given them the direction they needed for the day. We do pray for you and appreciate your prayers and support you have given us over the years. We are thankful for good health at our age. May you and your loved ones be blessed in a special way this coming year with health and prosperity. We pray you have a blessed and Merry Christmas!